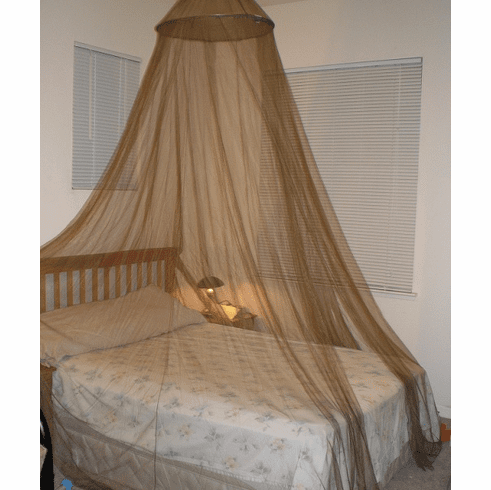 Made from 100% polyester mesh bed canopy and mosquito net fit for any bed size , crib, twin, full, Queen king size oe Cal King size bed. Fit for outdoor (upto 3 person) as well. Good for home décor, outdoor event. Small net holes. Density material.